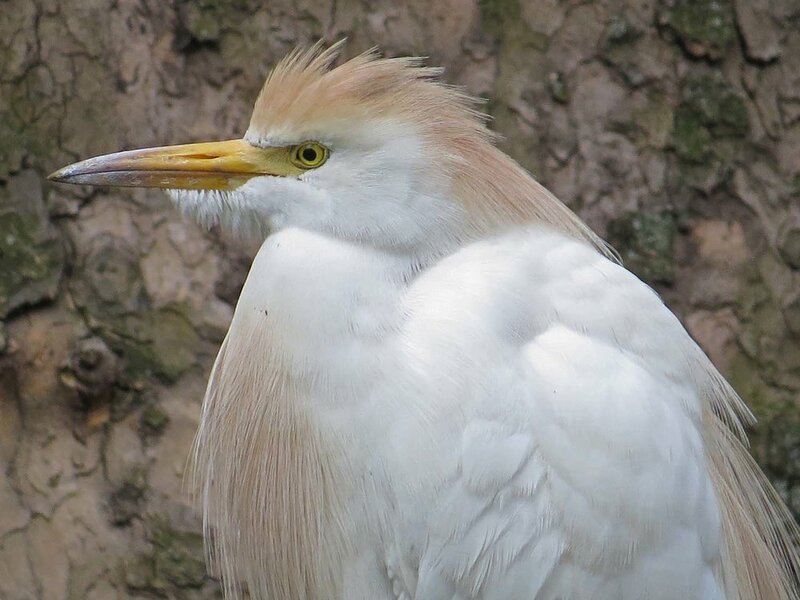 A cattle egret (Bubulcus ibis) has landed on West 28th Street, and has spent three days eating bugs on the lawns of an apartment complex. We don't know why the bird chose this particular block to spend some time, but we have been delighted by the visit. We suspect the egret dropped by during migration to fatten up a bit before continuing north. The Filming the Feathers video is set to the Bassoon Concerto in F Major by František Jiránek, performed by Robert Rønnes. 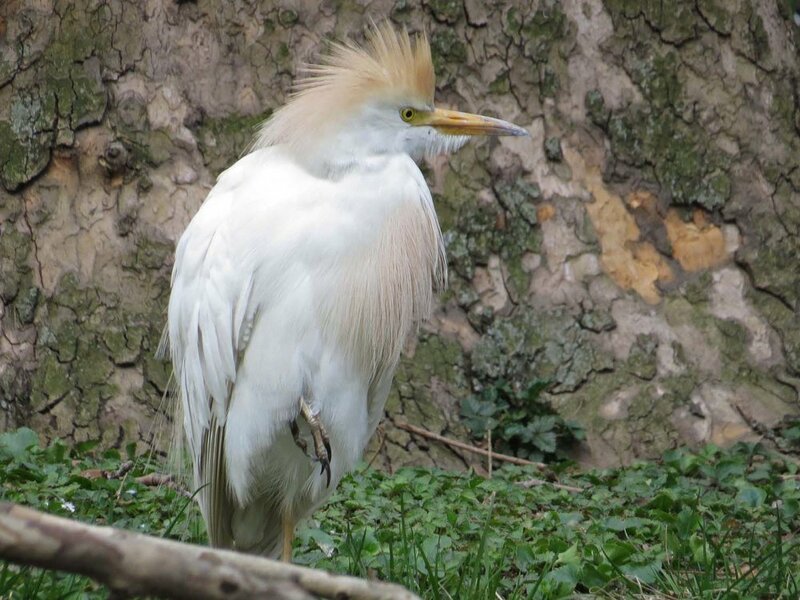 We often see great egrets in various parts of the city, and snowy egrets occasionally, but this is the first cattle egret I've seen in Manhattan. The birds are not native to this hemisphere. They were unknown in North America until 1952, and came to South America from Africa in the 1870s and 1880s. Where most egrets feed in water, these birds thrive in dry fields, where they wait for cattle (or other animals) to flush out insects. I didn't see any cows anywhere near this cattle egret when I filmed the bird on April 11.